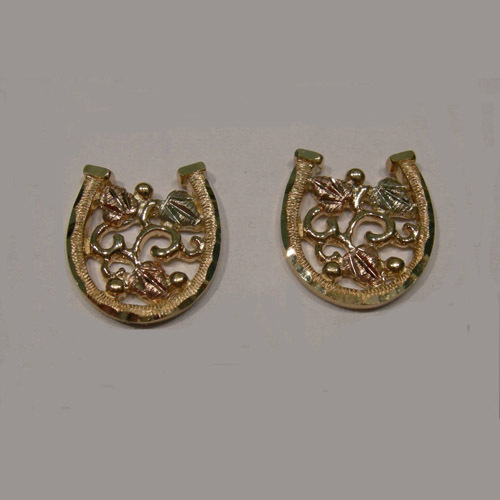 Desc: Lanstrom's Black Hills Gold horseshoe post earrings. The grape and leaf motif is in the center of each horseshoe. 10 karat rose and green gold are in the center of the horseshoes.